When I arrived at my parents house (above) on Mother’s Day, the traditional Mothers Day planting was done. 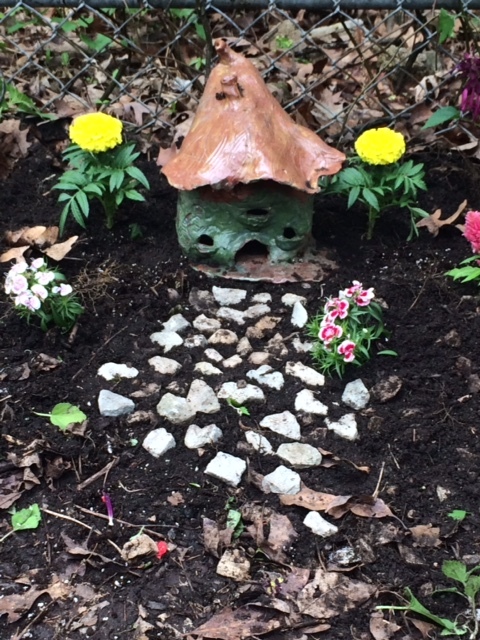 I discovered this little faerie garden my 50 something brother and his gal pal created! (Faerie house made by me). So soul nurturing to see. Everyone was very excited about this addition. Besides the general celebration of love it made my day! My mother was trying to remember a song “There are Fairies in The Bottom on the Garden.” She’d sing some phrases and laugh. We all laughed. When we were kids Mom often made up songs to lighten things up. I taught yoga earlier that day. The theme of the day’s classes was ‘mothering the self.’ Both my class in the morning of older folks, and afternoon class of younger people really took to this theme. Witnessing the strain and harshness leave their bodies as they explored self nurturing similarly made my day. Such gratitude they felt for this opportunity. How to be soft with oneself when needed, how to be strong with oneself in a loving manner that suits. How to make things fun! Make it into a song! Just like mom. 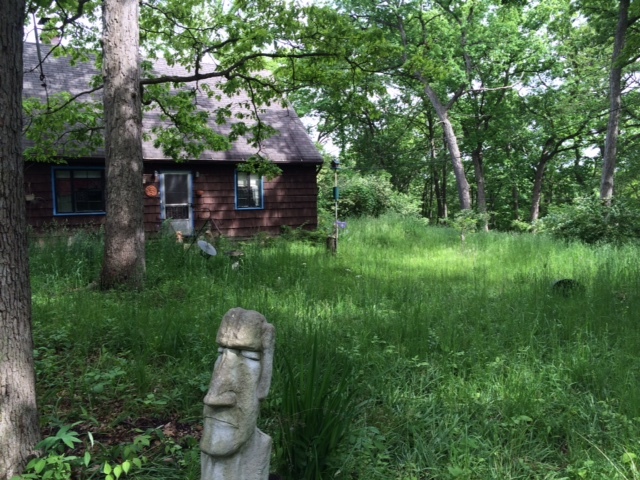 This little faerie garden and my students remind me how much we need to explore our playful selves. And nurture ourselves. Why resist? It’s so important to our physical health and vibrancy of our psyches. Make a plan right now, as you read this. What can you do to self-nurture, lighten up, and play? I’ll treasure any thoughts left in the comment box.